It's been another busy week here at Wareable. We've had some big reviews, with verdicts for Apple Watch Series 2, TomTom Spark 3 and Nixon The Mission all now live. Elsewhere we've reported that Adidas is pulling out of the GPS watch race, the Oculus Touch UK price is confirmed, and Jawbone is… well, we're not even sure what's happening there. But what about the other stories that have been circling around the web? Let's see what we've got. If there's a theme to this week's 'And Finally', it's your home. That's right: your iPhones were merely a trojan horse for getting Siri into the house, and now Apple has a grander plan to keep it there permanently. The company is said to be moving ahead with work on a home device in the style of Amazon's Echo. People "familiar with the matter" told Bloomberg that the project has been ongoing for more than two years, and has now reached the prototype testing phase. Like Echo, the device will use voice activation to control your home appliances and relay useful information too. With Apple Home now activated, it might be the perfect time for Cupertino to get this device out there. Apparently it may even include facial recognition tech to read your emotions. Creepy. Interestingly, the report claims that Apple initially tried to integrate the tech into the Apple TV. The question now is, when will we see it? Engineers have reportedly begun testing it in their homes, which means we should be seeing this a lot sooner than we see the Apple Car. Google has beaten Apple to the punch, however, after announcing Google Home back at I/O in May. Now, Android Police reports that the device will be priced at $129, which undercuts Amazon Echo by a small chunk - but probably not Apple's mystery device, whenever it launches. 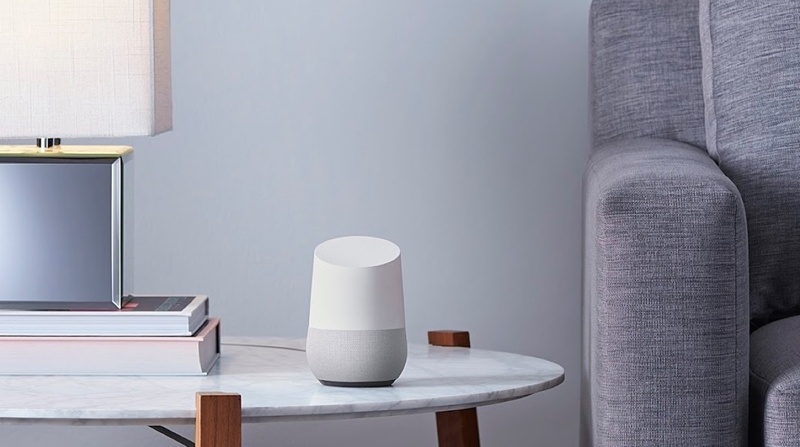 Home will work like Echo also, but will instead draw on Google's wealth of machine learning to process complex questions and tasks (so we're told), and learn your behaviours over time. Read this: Google Home and Amazon Echo: Should we be concerned? Google is said to be announcing the final price and details at its 4 October event, so not long to go. "Enough about home tech, more about wearable haptic vests," we hear you cry. Well you'll be pleased to know that The Woojer Vest was announced this week - a piece of smart clothing that covers your chest and plays back sounds on frequencies in time with your game. The haptics will, in theory, mirror the game to give you that extra level of immersion we had no idea we even wanted - but now really want to try. Unfortunately there's no price or release date yet, but the plan is to get it out by the end of the year. We might still be waiting for Google's first Daydream phones to arrive (expect to hear more on 4 October) but the VR SDK 1.0 is now out of beta and available to developers - which will be good news for the rest of us when we finally get to play with it, as there will actually be stuff to play with. The SDK supports both Daydream and the Cardboard API, although only the first includes the controller too. Also, if you're looking to build something for Daydream you'll only be able to do so on on a Nexus 6P running Android N for now.